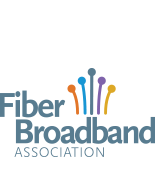 The Fiber Broadband Association consists of approximately 2,400 company member delegates and a nine-member Board of Directors serving three-year terms. Working committees drive member value and Association activities. The Association's professional staff includes a full time CEO/President who is supported by marketing and staff resources. The Association's policies and governing by-laws are posted in the membership page along with the Board Responsibilities. Kevin Morgan served as the 2015 Board of Directors Chairman for the FTTH Council Americas and is currently serving a three-year term as a Board member (2017-19). He was first elected to the Board in 2010 and is past Chair of the Government Affairs committee and Marketing committee for the FTTH Council. Kevin is the Chief Marketing Officer at Clearfield, the preferred supplier specialist in fiber management and connectivity platforms for communication service providers. Morgan has held various senior marketing positions at ADTRAN and spent nearly a decade at telephone operating company BellSouth, now a part of AT&T, where he worked as the lead product evaluations resource of broadband technologies in the Science & Technology department. Over his career, he has gained extensive experience in advanced communications technology, fiber optic systems, and business product marketing.. Kevin holds an Electrical Engineering degree from Auburn University and an MBA from the University of Alabama. Katie Espeseth, Vice President of New Products, joined EPB, Chattanooga Tennessee’s electric power distributor and fiber optics communications provider, in November of 2004, bringing with her over 30 years of marketing and telecommunications experience with a national telecommunications carrier. As Vice President of New Products, Katie guides the company’s effort to maximize the value of its 100% fiber optic network with new and enhanced products for both business and residential customers. With more than 25 years in the telecom industry, Gary Bolton joined ADTRAN in 2008 as vice president of global marketing. In this role, he is responsible for all aspects of marketing for the company worldwide as well as regulatory and government affairs. Bolton has been highly involved in Washington, influencing the FCC and congressional proceedings such as broadband stimulus, the National Broadband Plan and USF Reform. Prior to joining ADTRAN, Gary held executive management positions in a number of high tech start-ups as well as large publicly traded companies in marketing and product line management. He holds an M.B.A. from Duke University and a B.S. in electrical engineering from North Carolina State University. John George has served with AT&T, Lucent Technologies and OFS in systems engineering, applications engineering, marketing, and manufacturing for 30 years. He currently directs the Solutions and Professional Services group for OFS’s optical fiber, cable, connectivity, and solutions business. John has published and presented over 30 papers on fiber optics and FTTH in trade journals and industry forums. As an active member of IEEE, TIA, ISO, and IEC John facilitated the development of numerous standards including 10 Gb/s Ethernet, Ethernet in the First mile, OM-3 optical fiber, and small form factor optical connectivity. John has been an active member of the Fiber to the Home (FTTH) Council from its founding year of 2001. John helps guide the council’s technical and conference programs, and in 2010 received the FTTH Council’s Photon Award for his leadership in this area. John has Bachelor of Science in Mechanical Engineering from Georgia Tech and a Master of Science in Engineering Administration and Marketing from Virginia Tech, and 5 patents. A native of New Iberia, LA, Teles Fremin graduated from the University of Louisiana at Lafayette in 2001 with a degree in Electrical Engineering. After graduation Fremin began her career helping to develop LUS Fiber, which launched Lafayette, LA to the forefront of the technology industry. Soon after, Lafayette become one of the first cities in the nation to offer high-speed broadband technology to businesses and schools. For over 15 years, Fremin has worked in various roles at LUS Fiber. Her most recent role as the LUS Fiber Director is responsible for leading the engineering and business staff, guiding product development and overseeing day-to-day operations. Mike Hill, On Trac, Inc.
Mike Hill has been involved in the telecommunications industry for over 40 years and is an accomplished and driving force of On Trac, Inc. Having been involved from the grassroots level (installer) to the Corporate Directorship of a major national cable company the first 26 years of his career, Mike is a seasoned veteran in the industry. With the sale of Sammons Communications, Inc. in 1995, Mike joined a national contracting company to utilize his skills within the industry for cable, MMDS Wireless, telephony and data services. Mike has been involved with Fiber to the Home (FTTH) installations and deployment since 2003 and is committed to helping the FTTH Industry continue to grow and excel for the future. Joanne Hovis directs CTC Technology & Energy’s business consulting, strategic planning, market assessment, and management consulting work. An attorney with a background in communications and commercial litigation, she is a recognized authority on the broadband market and community broadband topics—and on the evolving role of government and public utilities in the development of communications services and networks. Joanne advises public and not-for profit clients regarding strategic and business considerations for building public-private partnerships and strategies to deploy broadband networks, and provides guidance on maximizing community opportunities to attract broadband investment and invest at the local level. Joe leads the Americas Market Development team for Corning. With 18 years of telecom experience in engineering, product management, and product development, Joe pioneers FTTx architectures, optical solution advancement, and design optimization for today's evolving networks. This approach to optical network evolution helps make fiber based access networks more accessible by using innovation to lower barriers to deployment. His most recent areas of contribution focus on converged network architectures and defining potential impacts of next generation networks such as 4G densification and 5G on both the carrier infrastructure and investment business case. Joe obtained his B.S. in Electrical Engineering from NCSU and Executive MBA from UNC Chapel Hill. In 1988, Gregg was one of a team of nine charter C Spire (formerly Cellular South) employees who launched the first cellular wireless network on the Mississippi Gulf Coast and brought wireless service for the first time to many other parts of Mississippi. And, in 2014, Gregg led C Spire’s ground-breaking efforts to deploy 1 Gigabit FTTH services to communities throughout the state of Mississippi. Lisa R. Youngers currently leads the Fiber Broadband Association as its President & CEO — the largest trade association in the Americas dedicated to all-fiber-optic broadband. Youngers brings two decades of communications experience to the Association ranging from wireline/wireless telecommunications, satellite and broadcast to state infrastructure. Most recently, Youngers was CEO of Nextlink Wireless, where she drove all operational, technical and financial aspects of the business as well as M&A activity. Prior to leading Nextlink, Youngers was Vice President and Assistant General Counsel of Federal Advocacy and Strategy at XO Communications where she led the company’s initiatives involving federal policy, operations and technology. Before that, she served as Federal Regulatory Counsel for General Communication, Inc. and MCI advocating on competition issues. Youngers also served as Assistant Attorney General for the state of Minnesota as counsel to the Public Utilities Commission and the Rail/Trucking Safety Board. Youngers is a member of the Minnesota and District of Columbia Bars. She earned her bachelor's degree from the University of Wisconsin-Madison and a JD from the Mitchell Hamline School of Law. Thomas Cohen is a partner in the firm's Washington, D.C. office. His practice focuses on matters involving communications, including telecommunications, wireless and media, the Internet, privacy and government relations. Tom has more than 30 years of experience in the communications/telecommunications industry sector, first as a government policy maker, serving for over a decade as assistant general counsel for legislation at the Federal Communications Commission (FCC) and as senior counsel for the Senate Commerce Committee. He then was a founder and principal in firms assessing and developing communications/telecommunications properties and advising businesses. At Kelley Drye, Tom assists clients with a variety of aspects of communications law, including federal and state administrative and legislative advocacy, business-related legal matters and litigation. The Fiber Broadband Association's mission is to accelerate deployment of all-fiber access networks by demonstrating how fiber-enabled applications and solutions create value for service providers and their customers, promote economic development and enhance quality of life. The vision of the Fiber Broadband Association is to be the voice for ultra high-speed networks throughout the Americas.